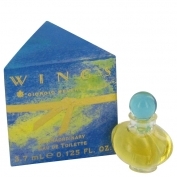 Wings by Giorgio Beverly Hills is a Floral Fruity fragrance for women. Wings was launched in 1992. The nose behind this fragrance is Jean-Claude Delville. Top notes are gardenia, lily, passion flower, rose, osmanthus and marigold; middle notes are cyclamen, orchid, lilac, jasmine and heliotrope; base notes are sandalwood, amber, musk and cedar.